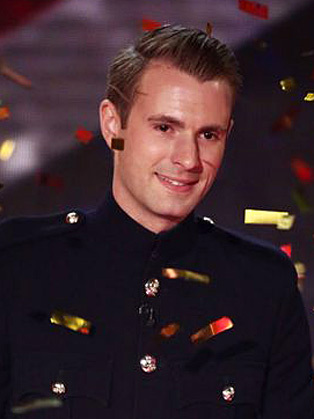 Magician and serving soldier, Lance Corporal Richard Jones was announced as the winner on Saturday 28th May. He had to beat an amazing line up in the final and did so with his incredible magic! Wowing the studio and TV audience. Richard Jones has a stylish performance which is engaging and entertaining, creating a perfect mix for your high profile occasion. Whether it be a champagne reception, a dining extravaganza to impress new clients or to entertain during a conference, Richard will provide a unique experience, ensuring that your event is never forgotten. As well as a Close-Up performer, Richard Jones also has a stand up comedy magic show lasting anywhere between 15mins to a full 2.5 hour show. Richard is available for all corporate and private bookings across Europe and the UK.